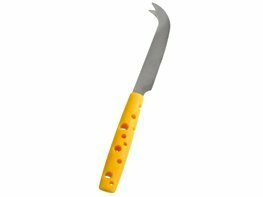 Serrated edged cheese knife for cutting pieces of cheese out of Parmigiano-Reggiano and Grana cheese. 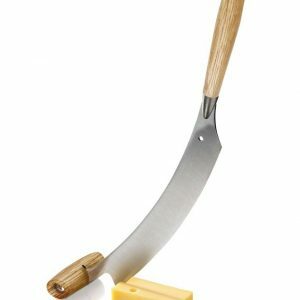 Parmesan Tool for breaking open Parmigiano-Reggiano and Grana (Parmesan in short) cheeses. With this tool, you break small pieces from a large piece. 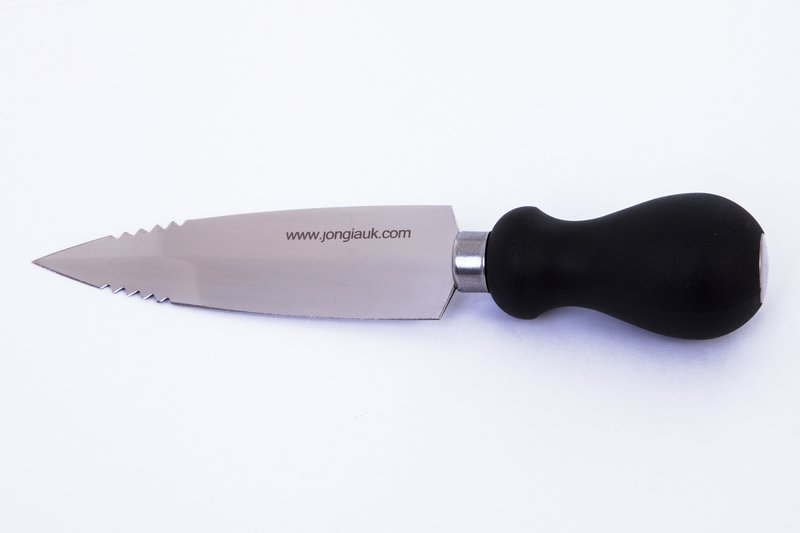 With serrated edges This knife is made out of stainless steel and with a plastic (PP) handle. Blade 14 cm, total length 23 cm, weight 165 gr. Cheesy Design Presentation knife. Funky! 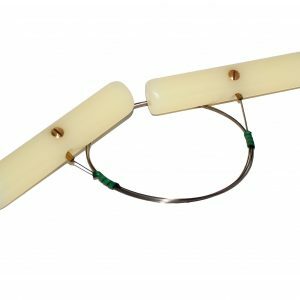 Cheese wire, length 130 cm with two plastic handles. 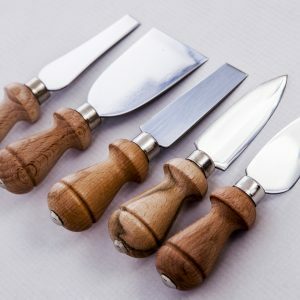 This wonderful Cheese Set includes five Parmesan knives.